Found In Him: Do You and Your Friends Work Hard? Do You and Your Friends Work Hard? This is a strong command, especially since he added the phrase, “in the name of our Lord Jesus Christ.” Basically Paul said to keep away from Christians who do not work hard. This makes sense because, since the Fall, our work was cursed by being extra difficult and frustrating (see Gen. 3:17-19). 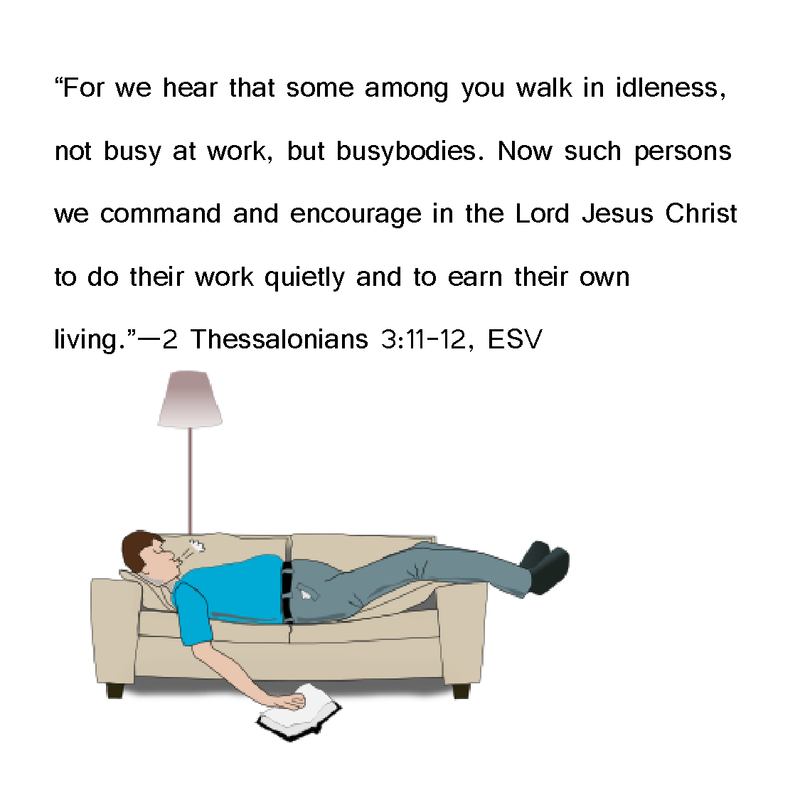 Our natural desire is for rest and ease (read Proverbs if you are not sure of this). We would too easily fall to the temptation of another brother in Christ urging us to come and play. 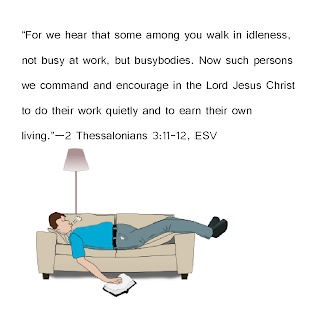 Yet God wants us to work hard until we enter His rest (See Hebrews 4). This is not to discount the idea of a Sabbath once a week, or vacation occasionally, but there is so much work for the Kingdom to be done while we still can do it. As Jesus said (John 9:4-5, ESV), “We must work the works of him who sent me while it is day; night is coming, when no one can work. As long as I am in the world, I am the light of the world.” As long as it is “day” we are to be the lights shining brightly amid a dark world that generally wants an easy life of gain at the others’ expense. I think as Christians living in the America, we must really reconsider our ideas about leisure time and especially retirement.